One doctor. One hospital. One million patients. 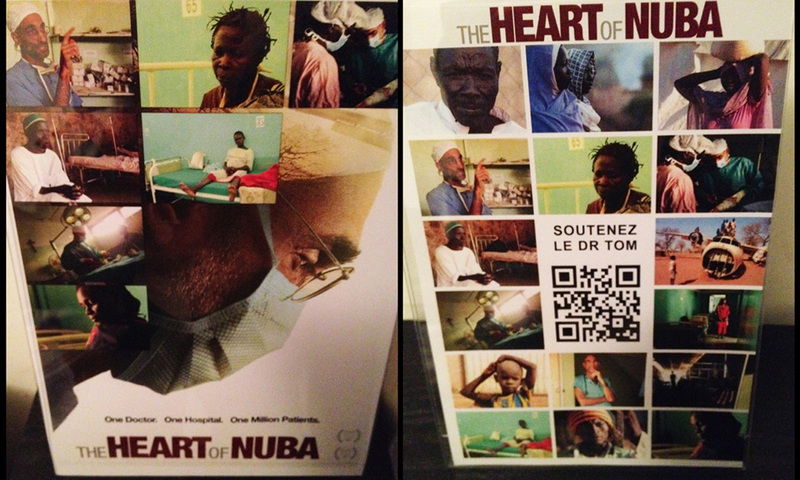 This page is dedicated to the film 'The Heart of Nuba'. 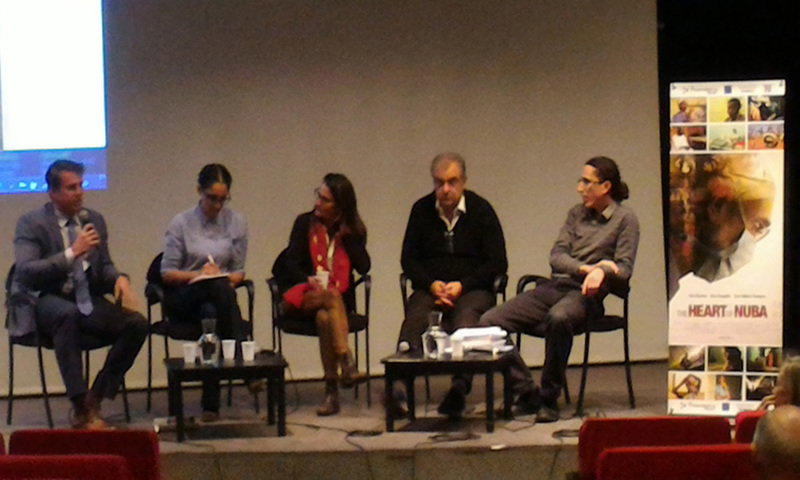 In 2016, we organized with Human Rights Watch and the Paris City Council, the first screening in France of the documentary film, in the presence of the movie's Director, Kenneth A. Carlson. 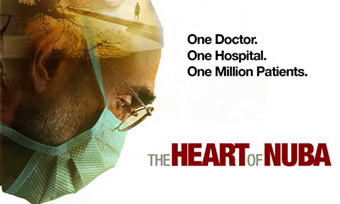 The film explores the work of American doctor Tom Catena who selflessly and courageously serves the needs of a forgotten people, as the region is bombed relentlessly by an indicted war criminal, President Omar Al-Bashir. The film screening was followed by a panel discussion, the film’s director Kenneth Carlson and our guests were then available for questions and discussion. 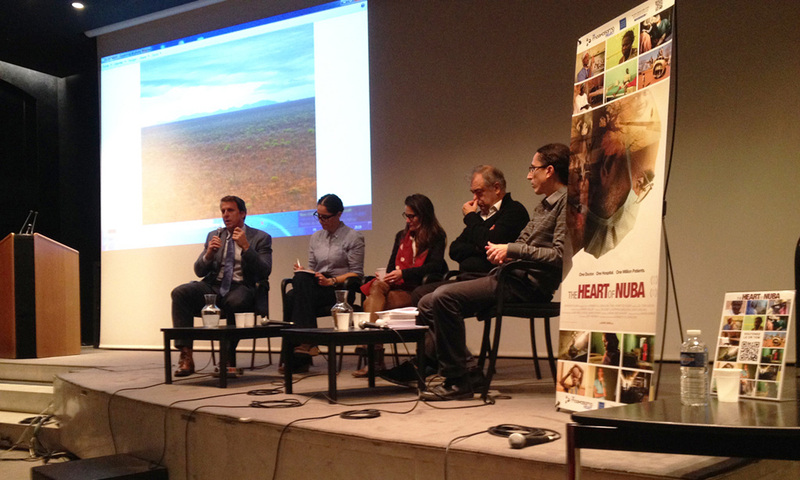 With: Leslie Lefkow, deputy Africa director at Human Rights Watch; Jacky Mamou, pediatrician, President of Collectif Urgence Darfour, former president of Médecins du monde; and Jérôme Tubiana, independent researcher specialized in Sudan, South Sudan and Chad, author of 'Chroniques du Darfour' (Glénat, 2010), co-author of 'New war, old enemies: Conflict dynamics in South Kordofan' (Small Arms Survey, 2013), and Guantánamo Kid (Dargaud, 2018). We tweeted about the event before it took place to advertize it, we also asked our Members and guests who attended the screening to share their feedback and their experience after watching the movie. If you couldn't join us, we compiled everything in this Twitter Moment with their testimonials and messages of support to Dr Tom Catena, as well as photos and tweets about the screening and the movie. We are glad to have presented this inspiring documentary to a french audience before it was officially released. 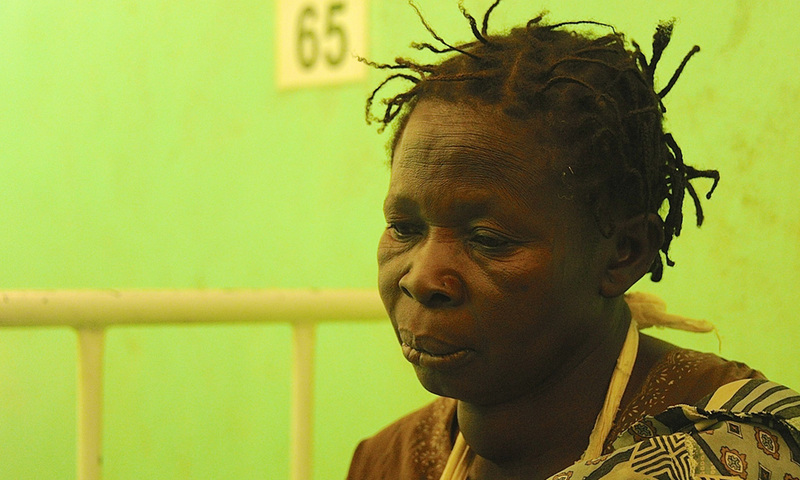 We are proud to partner with The Heart of Nuba and we are committed to support Dr Tom and the Mother of Mercy Hospital. 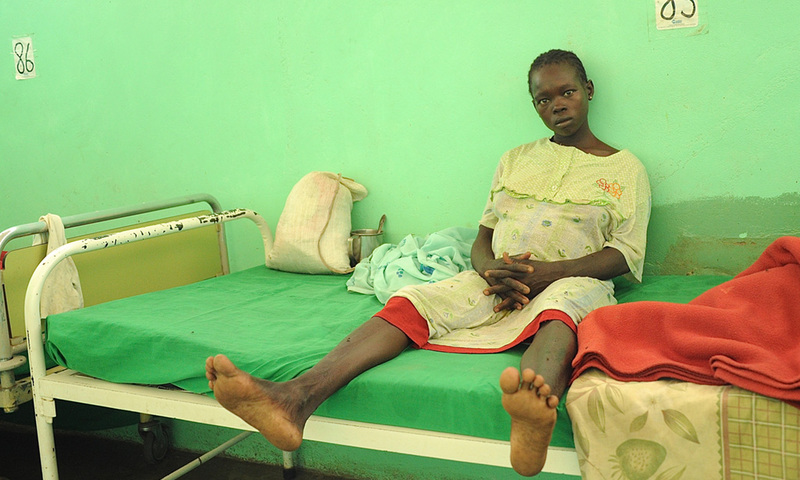 You will find on this page everything you need to know about the film, Tom Catena and how to support him and the people from the Nuba Mountains at the Mother of Mercy Hospital! 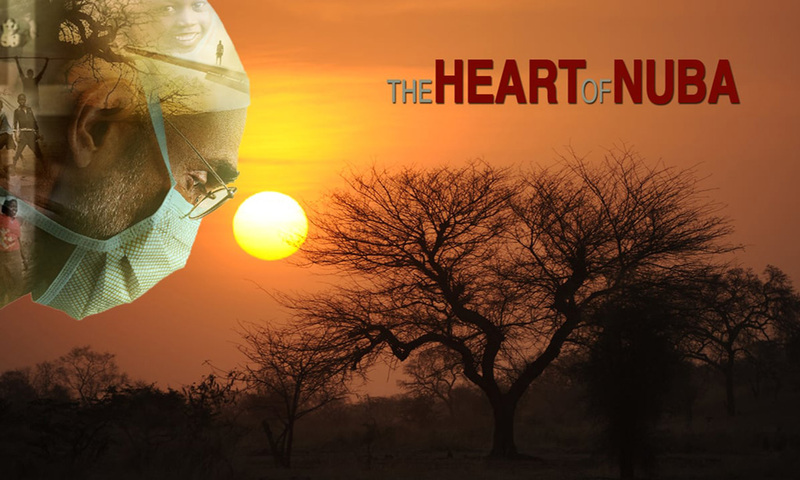 The Heart of Nuba Website Facebook Page Follow @TheHeartofNuba Support Dr Tom Catena! 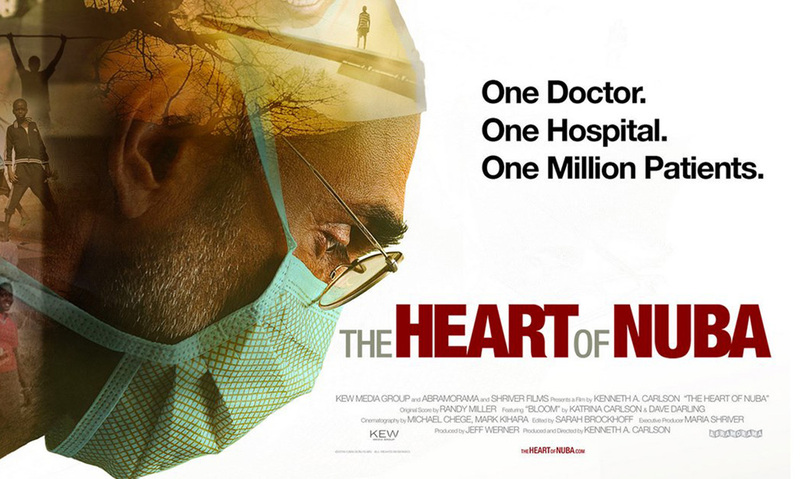 As of August, 2018, The Heart of Nuba is available through Hulu, iTunes, Amazon, Googleplay, Sony, Xbox and in public libraries via Hoopla. Dr. Tom Catena’s patients come to him from hundreds of miles away on foot, in carts, or often cradled in their mother’s arms. 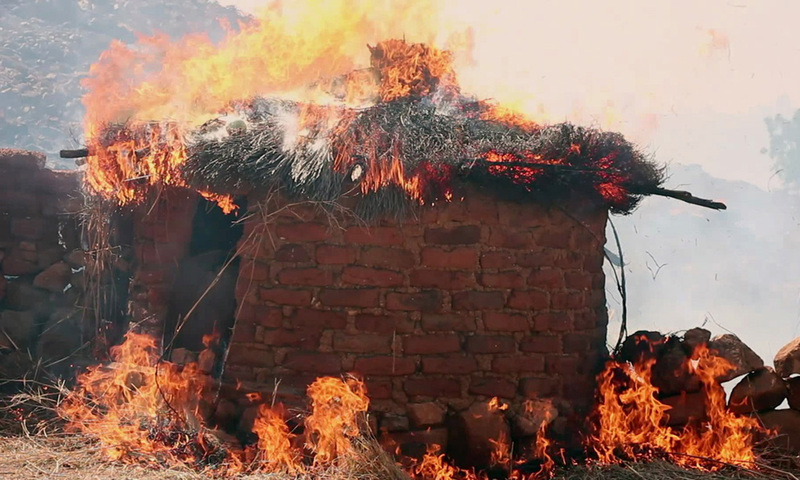 Welcome to the Nuba Mountains of Sudan, an area of the world so void of humanitarian and media attention that years of war go ignored, and cries for help go largely unheard. 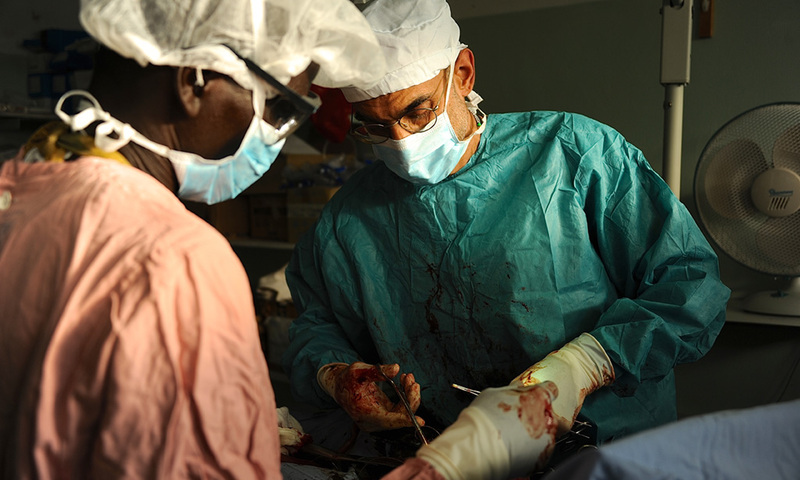 Here, this lone American surgeon tends with equal compassion to patients ranging from malnutrition and leprosy, to grave wounds inflicted by the indiscriminate bombings ordered by their own president, Omar al-Bashir. When a government can attack defenseless men, women and children with supersonic bombers,and it doesn’t make anyone’s newswire, something is terribly awry. The only surgeon within 200 miles, ‘Dr. 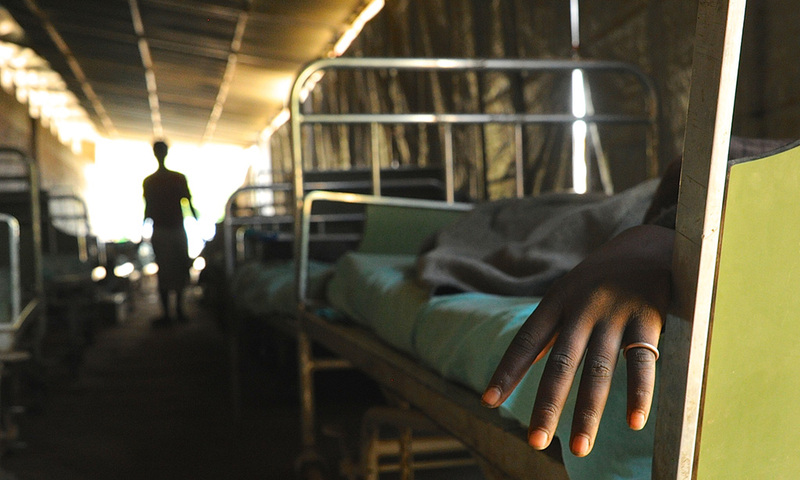 Tom’ does his best to save lives in the midst of carnage and terror, treating as many as 400 patients a day at Mother of Mercy Hospital, nestled in the heart of the Nuba Mountains. 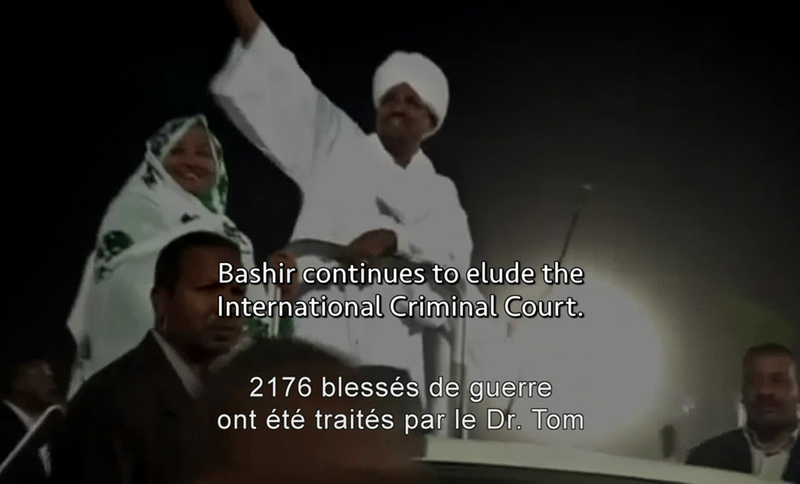 The region is the latest target of Omar al-Bashir, a man wanted by the International Criminal Court for committing crimes against humanity and war crimes in Darfur. 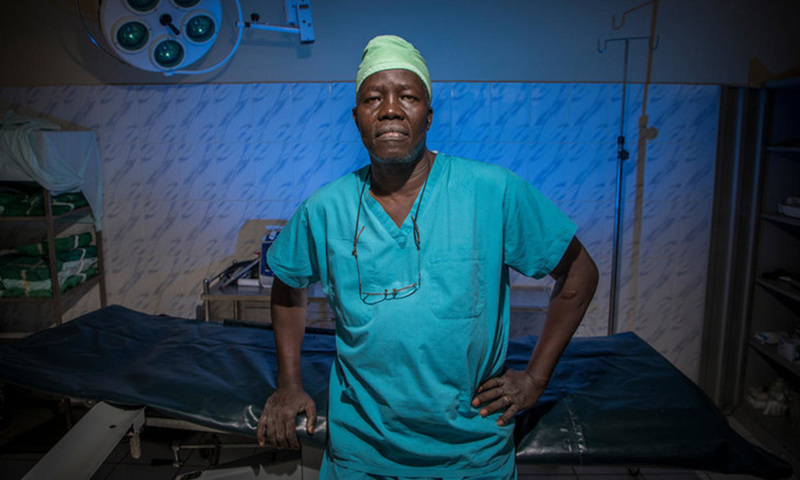 Surrounded by a country at war, living under the constant shadow of aerial bombardment, Dr. Tom and his mostly local staff defy Bashir’s ban on humanitarian aid, and work tirelessly to serve the Nuba people. This population of one million Muslims, Christians, Animists and Africans of traditional belief have lived together harmoniously for centuries. Now, together with Dr. Tom Catena, they struggle to survive. 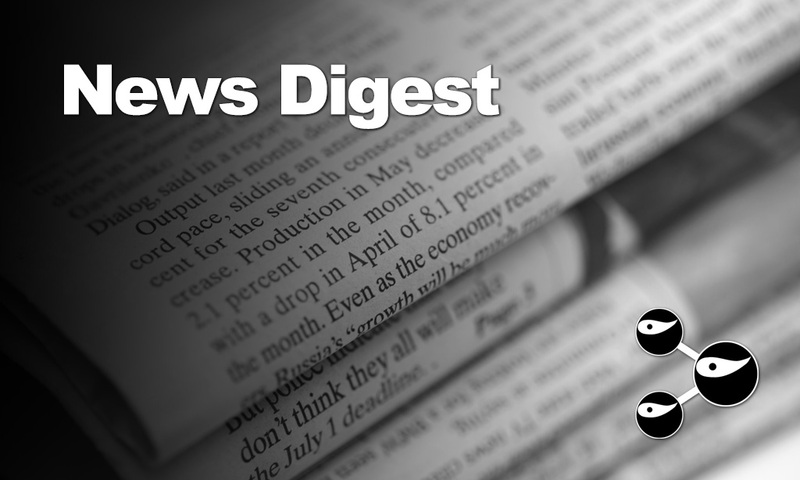 Recent news related to 'The Heart of Nuba', Dr Tom Catena and/or the Nuba Mountains. 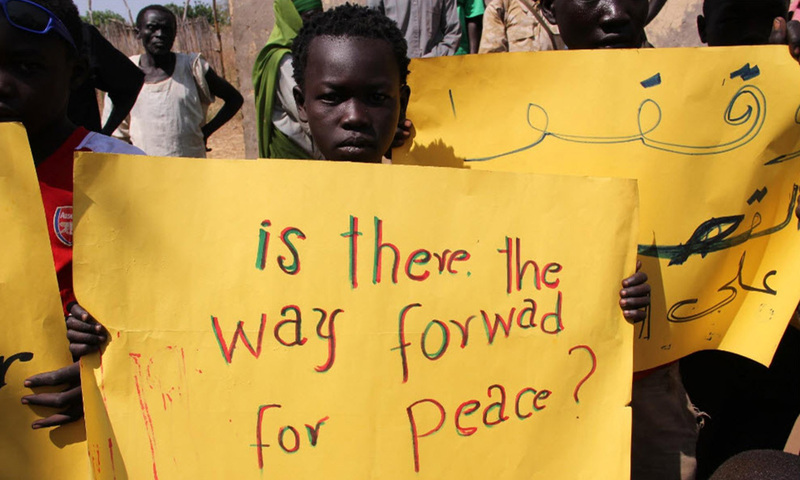 The Nuba people are under siege, enduring daily bombings, trauma and infectious disease. Dr. Tom Catena is their only doctor. 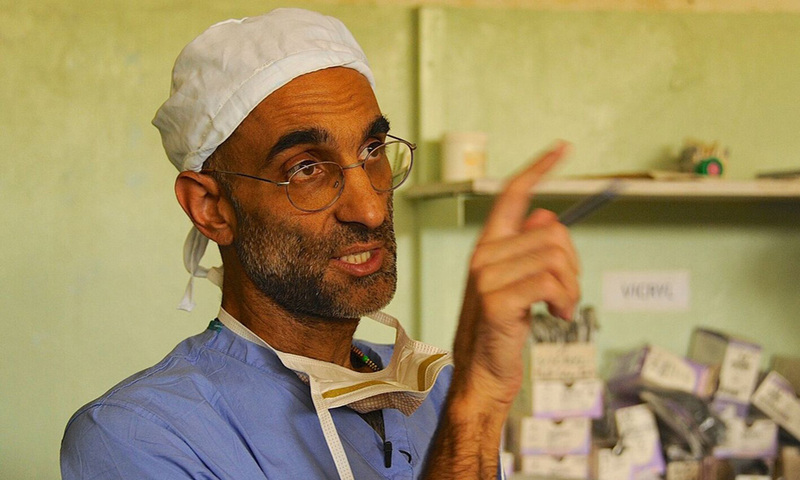 He is the surgeon, ob-gyn, and pediatrician for a million people living in the Nuba Mountains of Sudan, and he works seven days a week with limited resources in the middle of a war zone. 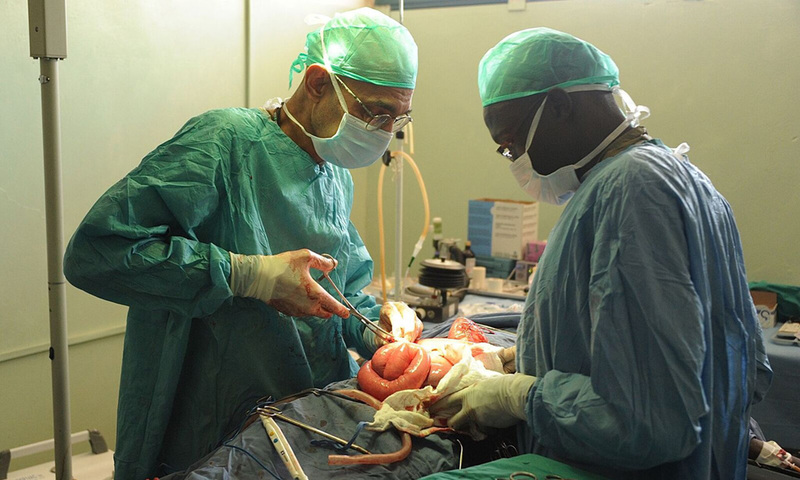 Every dollar goes to Dr. Tom and the Mother of Mercy hospital to buy supplies like vaccines and syringes, to support the local school and, most importantly, to continue to train the Nuba staff and prepare surgeons to one day operate their hospital independently. 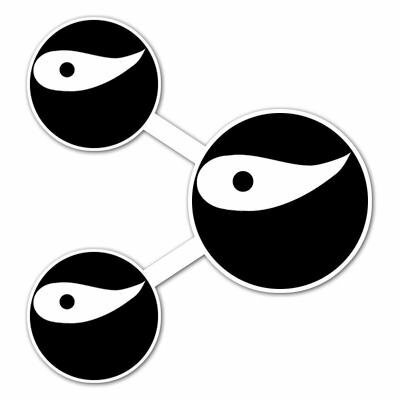 Support Dr Tom Catena - Donate!